A 34-year-old man on Thursday stunned an Embu Court as he confessed that he smokes Marijuana to carry out his job of digging boreholes and latrines. Appearing before Embu Chief Magistrate Maxwell Gicheru, Joseph Mukindi Njeru pleaded guilty to possession of ganja. He denied intending to peddle the holy herb, saying his stock was for consumption only. 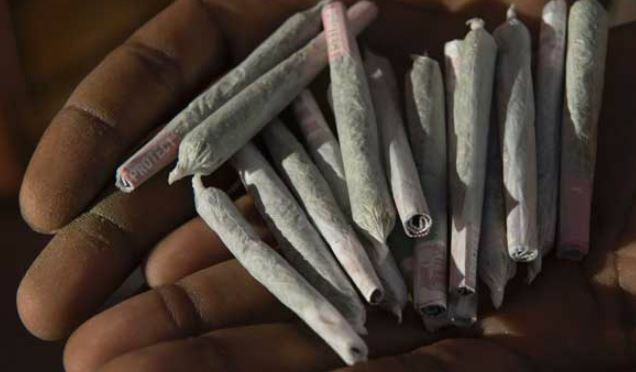 Mukundi was charged that on August 14, 2018, he was found in possession of 16 rolls of marijuana with a street value of Sh.1,600 at Kianjokoma area. The accused argued that due to the nature of his work, which involves digging boreholes and toilets that sometimes go several feet below the ground, he smokes bhang regularly to cool down inside the holes. He further stated that despite admitting to being in possession of the rolls during his arrest, police officers still assaulted him hence causing him bodily harm. The ganja smoker was released on Sh50,000 bond witha surety of a similar amount or cash bail of Sh10,000. He was further ordered to appear in court on August 30, 2018.